Three of One . . .
Three of One? I can agree to that. One pattern I may agree upon with allowance for three copies of said one. Three copies: one to fish, one as a backup if the first finds itself lost on fish or, to be most avoided, a snag. 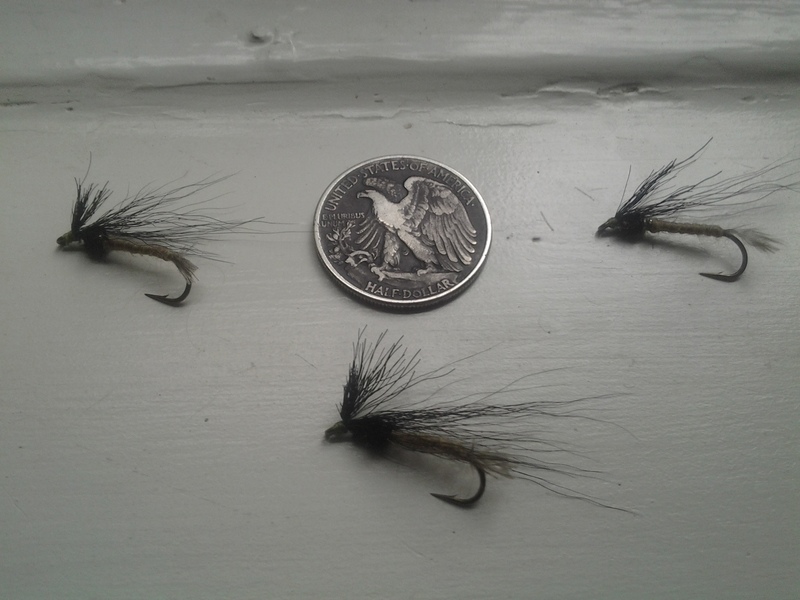 The third may be a gift for another angler met along a stream, or around the pond. That third one might also be the one to act as charmed third attached at last to a fish photographed and released humanely, else dispatched humanely, promptly, for shore lunch on or off the water. Fly patterns and numismatics both share a small scale, a quality of materials rendered artfully within the frame of little physical space. Minor major wonder the two connect for me, this coming from the guy who penned Small Fry: The Lure of the Little. Connected hobbies, activities: similar investments in a happy future on and off the water. The two tethered today make one happy indoors during a span of almost extreme weather; a cold rain drenches the city this day after sustained surface winds set at the speed of storm. Strange how the frigid air blew below an almost white sun above a bluebird sky filled with cloud of the purest white condensation, cloud marching as well, yet seemingly slower than the headlong gale off the Hudson River. Actual angling must come later, sometimes. Minted in March . . .
“Two for a Cent” is an early short story by F. Scott Fitzgerald. The author describes with a mannered eloquence the ember at the end of a lit cigarette. That scene from a mellow night remains one of my favorite descriptive passages in American Literature. 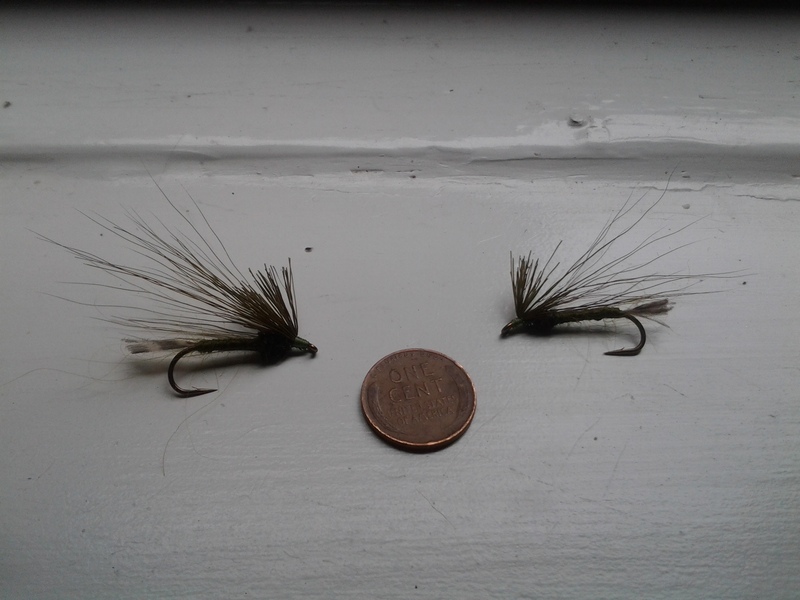 My essential pattern, the “one fly” for the tenkara fishing I most often do, begins with The Green Guarantee, two of which are pictured above with a wheatie from Fitzgerald’s era. Coins and fly patterns model well together and give me a chance to combine two of my interests in a single frame. As for the pattern, its universal color and shape viewed from a fish’s underneath perspective, dressed in fur and feather activated by motion though water, attracts all of the pond’s residents at some various points in the season, including season’s start. Half Dollar for a Quarter Dozen? “Half Dollar for a Quarter Dozen” is a possible title of three Muddy Moreblack arranged with an American half dollar to scale. The Muddy Moreblack continues the use of the double consonant and offers a pun on the mirrored famous last name of an acclaimed guitarist whose band’s music I hear played on fly shop playlists all the time. This pattern matches tan and black on a size 6 or 8 streamer hook and, being weighted, smokes under the water. 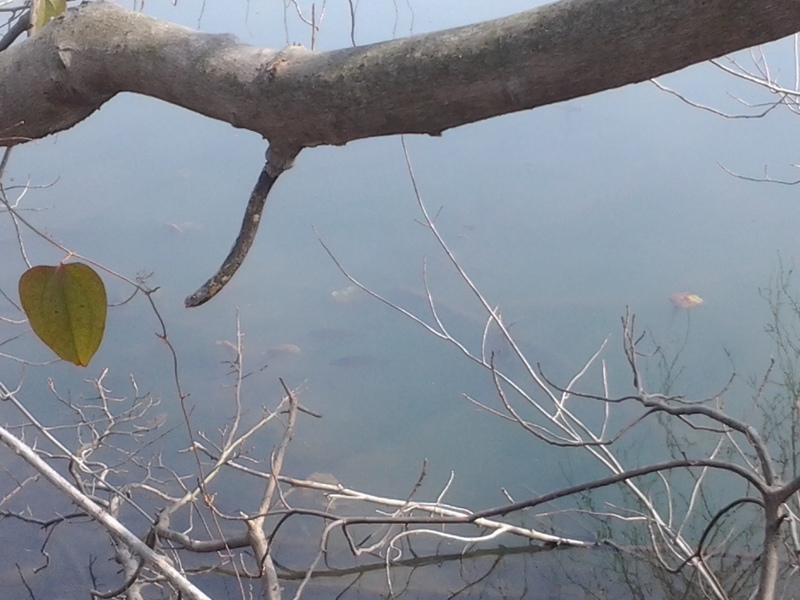 The effect conveys the colors of late winter, something waking, emerging from the water bottom’s silt and leaf litter. The dobsonfly nymph, hellgrammite, crayfish, and stonefly all the Muddy Moreblack may be. 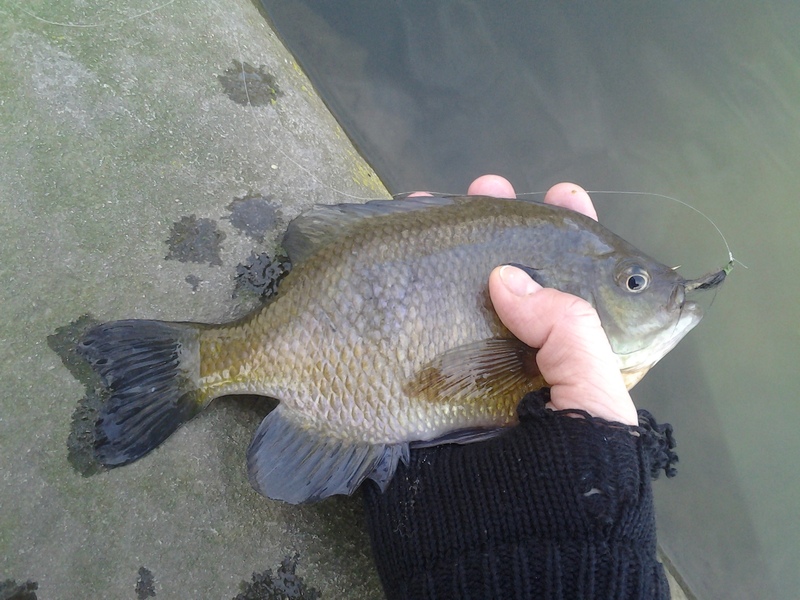 The pattern worked along banks, within the sticks that dropped those bottom leaves, can produce the one earned fish of a day when sudden sun chases the fishes from more open areas. Freshwater fishes may suspend in tough spots as a defense mechanism. The clustering of various species of Centrarchidae also brings to mind an expression of conscious social interaction. May such gatherings be a fishes’ summit to plan the following growing season? Perhaps territories within the pond’s perimeter are hashed out here with the whiskered bullhead given free reign along the bottom and the entirety patrolled by a few scattered schools of carp prone to basking just out of conventional and fly casting distance. Sunfish the color of a penny nestled in the sticks. 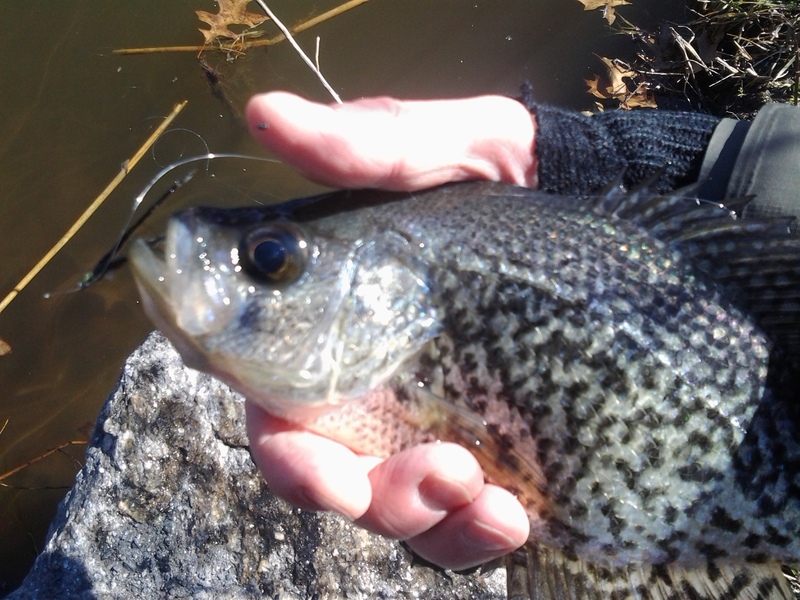 Black crappie as iridescent as a silver coin.